Despite proposed changes to the regulations, Formula 1 has not attracted any new manufacturers to the grid for 2021; that’s according to FIA president Jean Todt. While several parties, most notably Porsche, were believed to weighing up the possibility of entering Formula 1 in three years time, that won’t happen. Although the sport plans to introduce cheaper and less complicated engines, as well as other rules designed to improve the racing, to date the proposals have failed to attract the interest of new manufacturers. 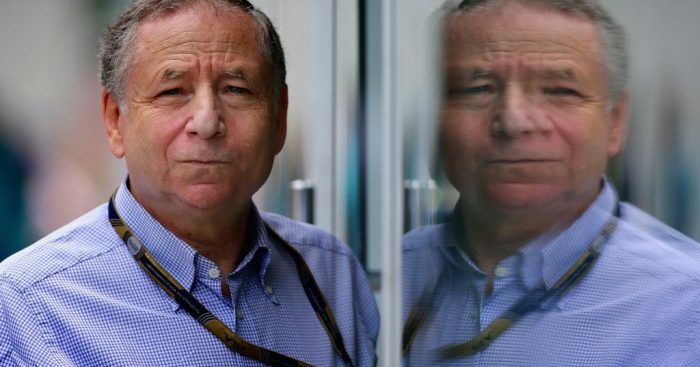 “There was some demonstration of interest from one, who said to us we are not in a situation to commit for 2021 but what is very important for us is to know exactly what will be the regulations, because there could be a strong interest in the future,” Todt explained to Motorsport.com. He added: “I was always pessimistic to the fact that with specific rules for F1, we could have more than four manufacturers. “I feel personally it is really a great achievement to have four different powertrains for 10 teams – because it means 2.5 each. “So I was very sceptical. That is why I also asked to consider to have some common regulations in other championships because it would encourage other manufacturers, if you were able to have seven to 10 customers, to be able to buy the powertrain. And while that may be disappoiting news, the Frenchman revealed he is determined to hold onto the four manufacturers – Mercedes, Ferrari, Renault, Honda – that Formula 1 currently has. “My priority is to make sure that we keep them four,” he said. “I always said it would be very unfair to the four engaged to say, ‘OK, we want to attract a new one so let’s change everything’. “But what about them? What about all the investment they have been doing for years and we say, we change completely the regulations because we may have one or two coming? “That is one of the reasons why it was not a revolution on the engine regulations.